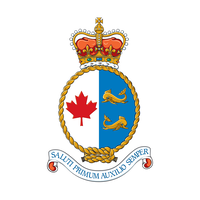 Marine Search and Rescue (SAR) Coordinators at the Joint Rescue Coordination Centre (JRCC) in Halifax provide an invaluable service to people in need of assistance on the federally controlled waterways of the Halifax Search & Rescue Region. Maritime SAR Coordinators oversee the activation, planning, and coordination, of Maritime Search and Rescue with the help of strategically located Canadian Coast Guard SAR vessels, Royal Canadian Air Force resources, and partners like police, fire, and emergency medical services (EMS). Spend more time with family and friends. The work schedule at a JRCC is 4 days on and 4 days off. Enjoy generous paid time off. In addition to generous paid time off, you will also start contributing to one of the best pension plans in Canada and benefit from excellent insurance coverage.